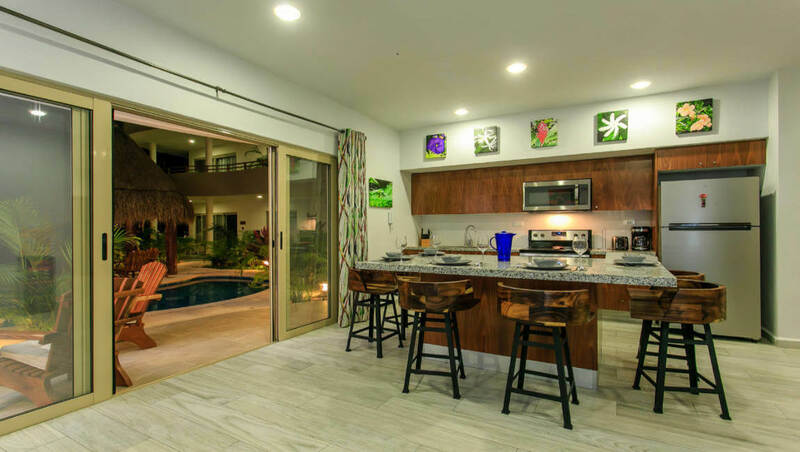 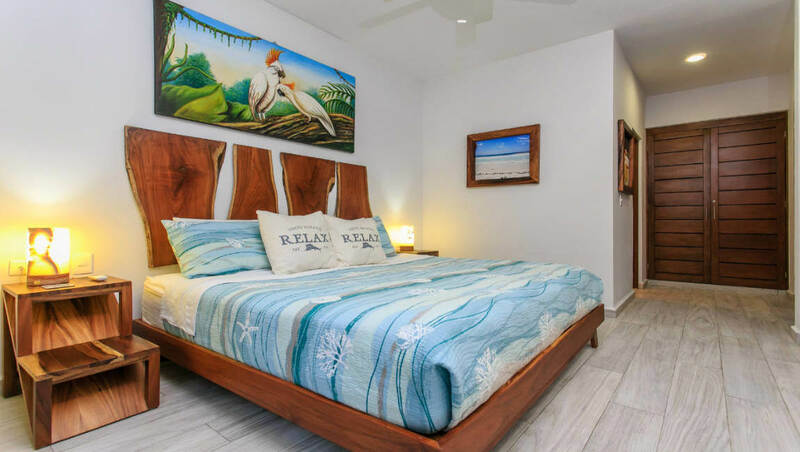 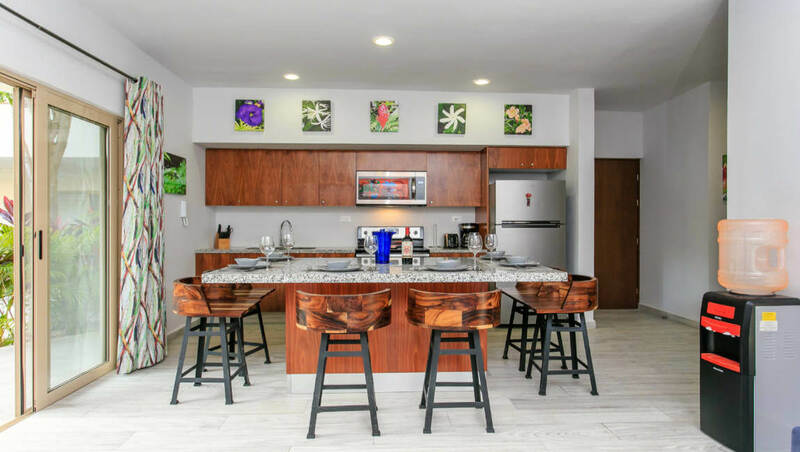 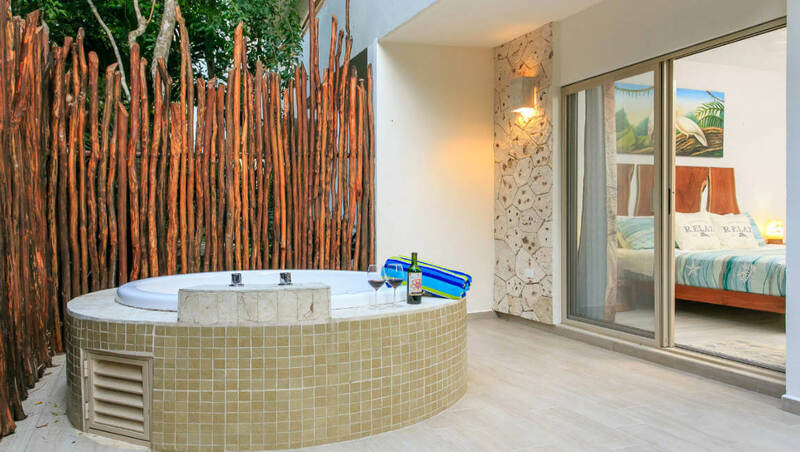 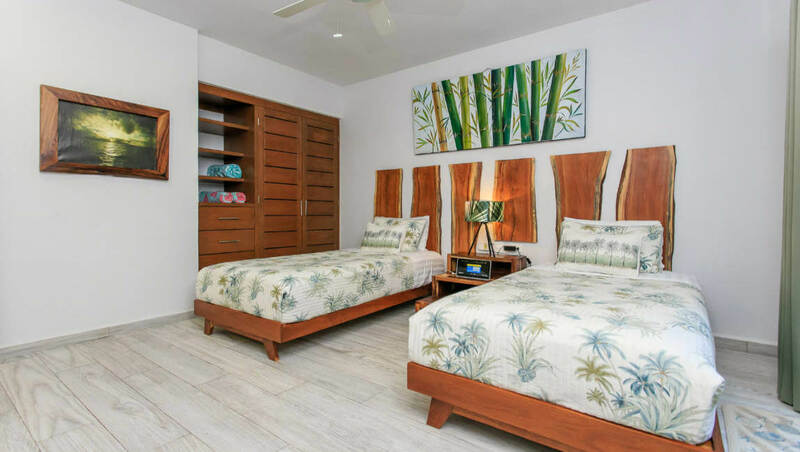 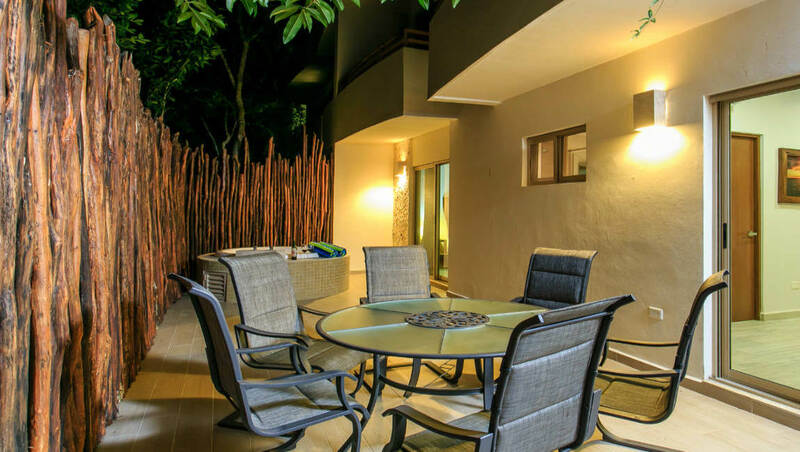 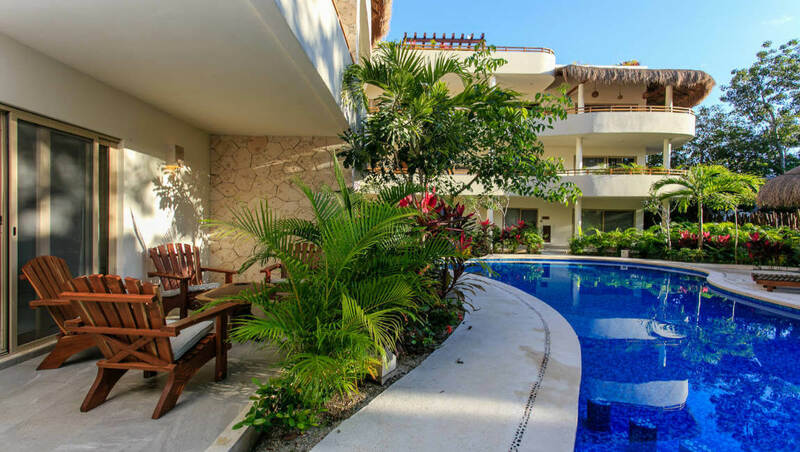 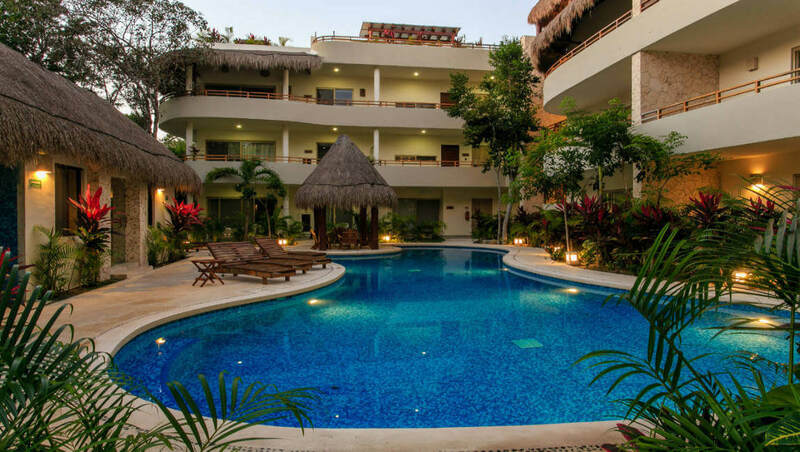 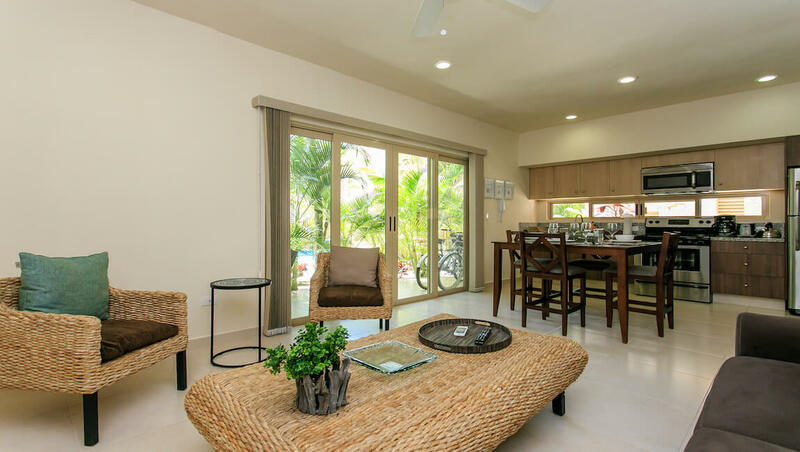 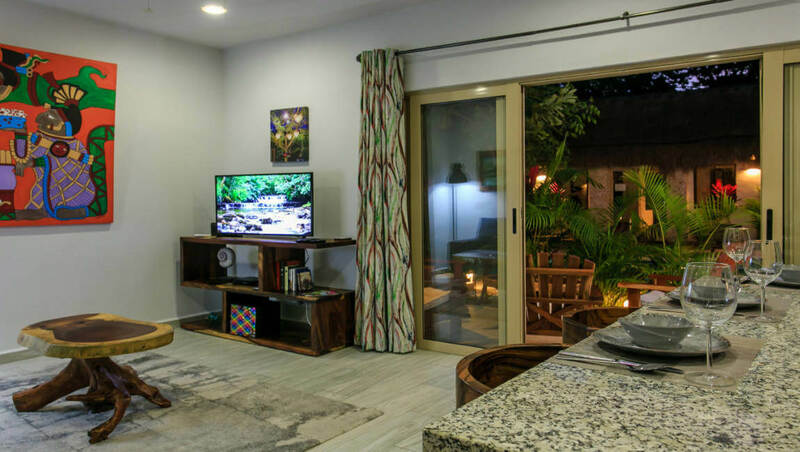 This gorgeous two bedroom, two bathroom condo is the perfect option for vacation rentals in Tulum, it has everything you need to make this trip to paradise memorable. 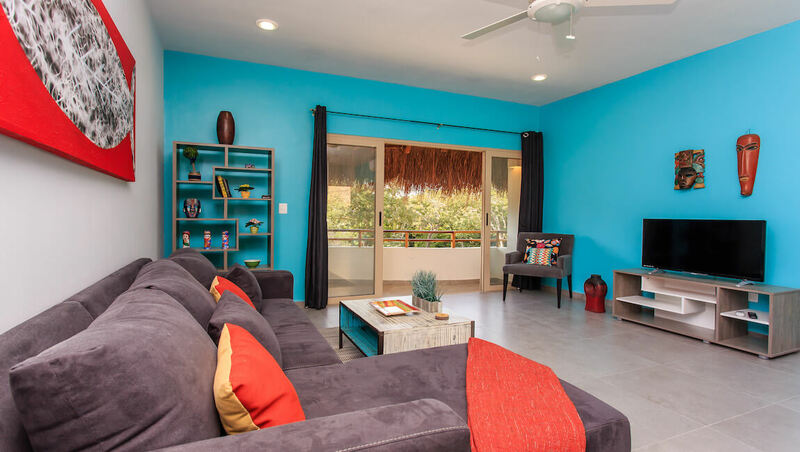 Comfortable furniture and lovely decor will make you feel at home the minute you walk in the door. 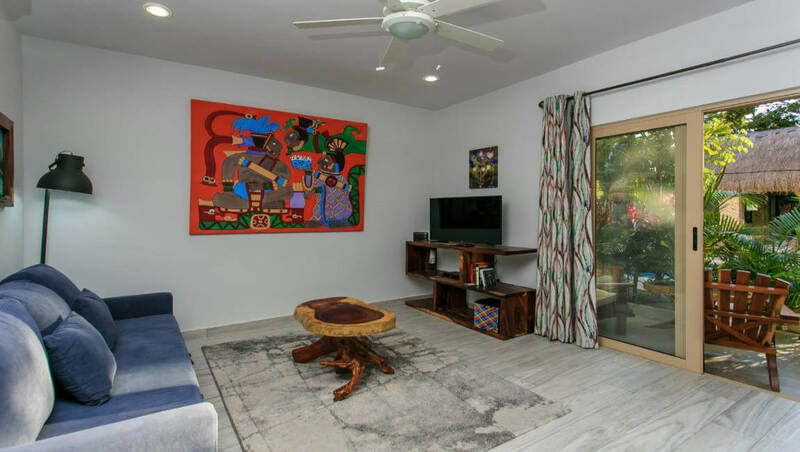 You’ll love the wood furniture throughout, unique pieces from the area. 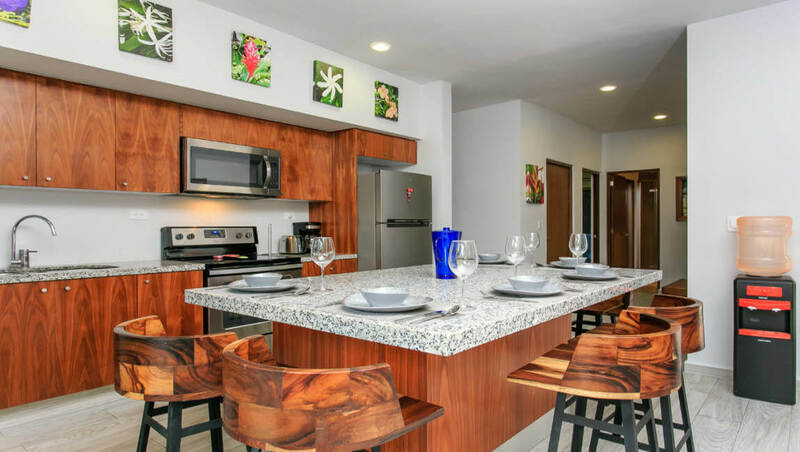 Prepare your meals in the equipped kitchen and dine at the island, relax in the living room and watch a movie with the family. 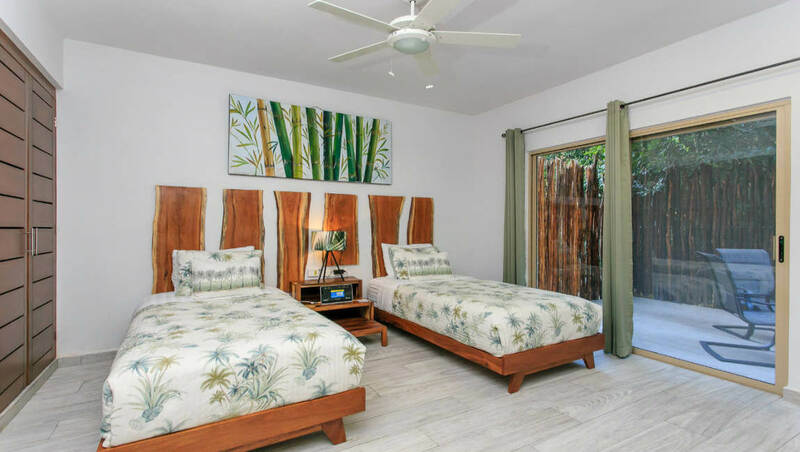 The guest bedroom has two twin beds and ample closet space, the master with a king size bed and en-suite bathroom. 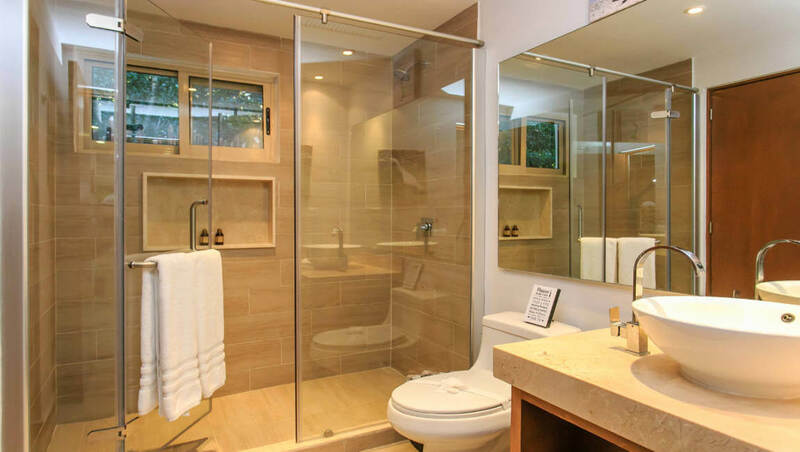 A second bathroom is shared with the guest bedroom and living space. 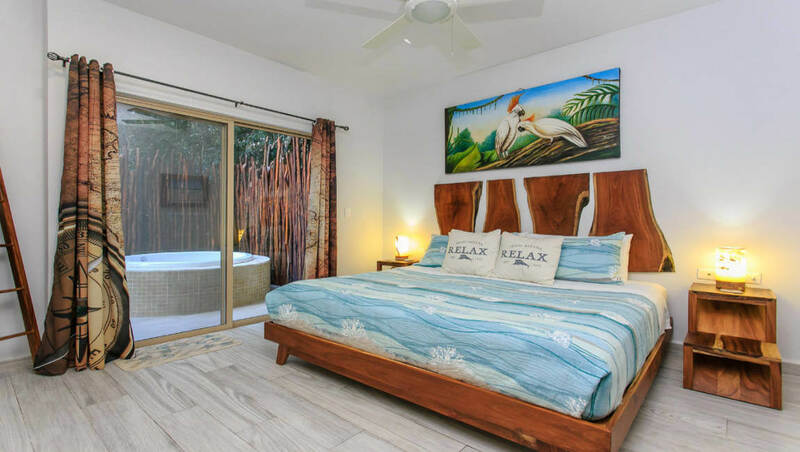 Walk out to the terrace via the living room to relax or take a dip in the jacuzzi tub off the master bedroom to cool off after a day at the beach. 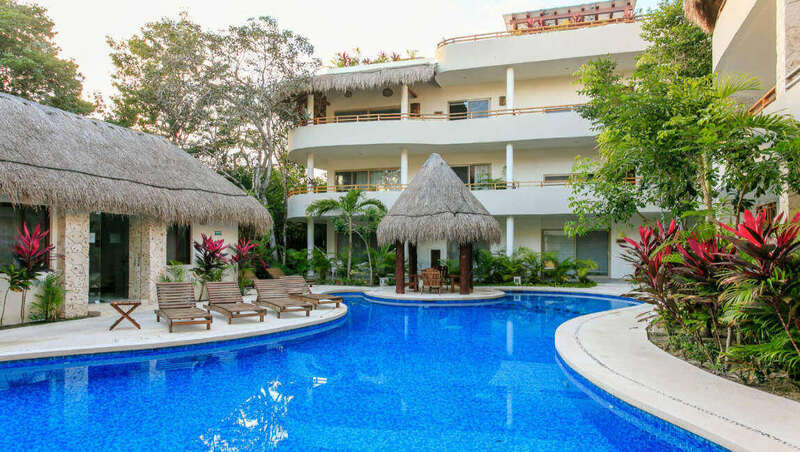 Puerto Zama common areas have a shared swimming pool with lounge chairs, a palapa to relax in the shade, security, and parking. 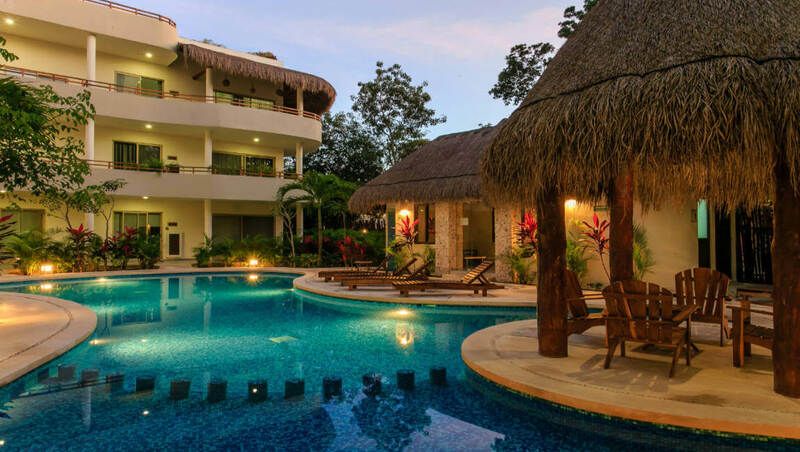 Located in the most exclusive neighborhood in Tulum, this community has a commercial area with restaurants and is close to the supermarket, and downtown Tulum, where you can enjoy the local fare, shopping, and more! 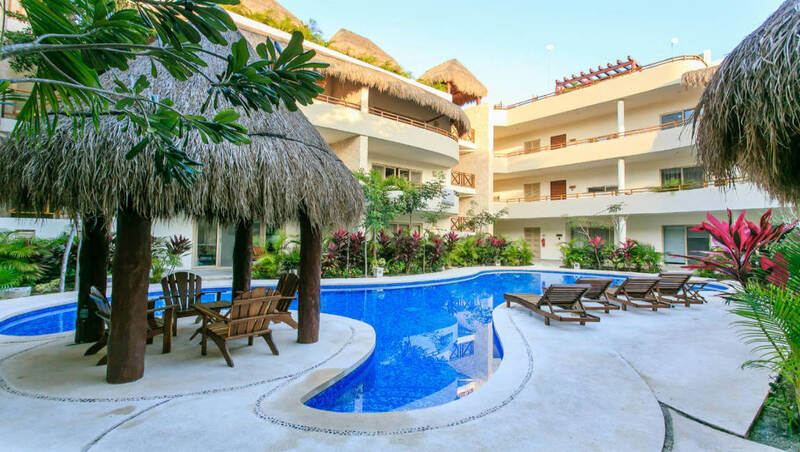 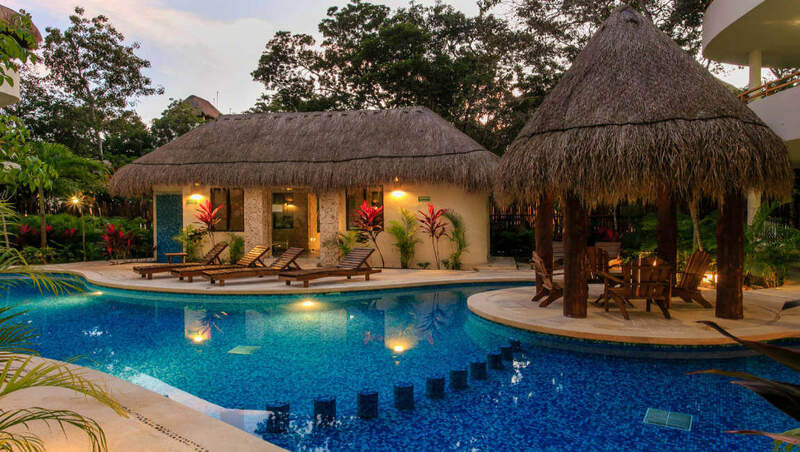 Enjoy the white sand beaches of Tulum Mexico that are just minutes from Condo Iris, venture to the Tulum ruins to learn about the Mayan culture, eco-parks, cenotes, scuba diving, and adventure are easily found when you vacation in Tulum at Condo La Tortuga!